The skirt is done, the bodice is fitted, the petal-like-bit is done too! Yay! All that is left is... wig to be styled (it's partially styled), white collar to be made and attached, annnnd crown and necklace to be sealed. Not too bad. Must all be done for Saturday! Also Mugi is completely done and ready to go. Yay! Did some more work on Aurora. I'm working on the necklace, which is not my favourite part of the costume, but it's serviceable. I made a mock-up of the bodice. Still need to test the fit out over the corset, which will definitely need to be altered. I'm not sure I love the pattern, really. The seamlines in the front are quite nice and mimic the cartoon drawing quite well, but the arm/shoulder straps are a little iffy. I'm still not entirely sure if they'll work or if I'm going to have to somehow redraft them myself - I SERIOUSLY hope not. Later this evening I'm going to do the bodice fitting, we'll see what happens then. My quick Aurora corset came together quite well. Finished most of it yesterday, except for putting in the grommets which I managed this morning. That is definitely a new record for me in corset making. Although, this one is VERY utilitarian. VERY. It's not at all attractive. But meh, it's a good thing to have around in a pinch. Like now. 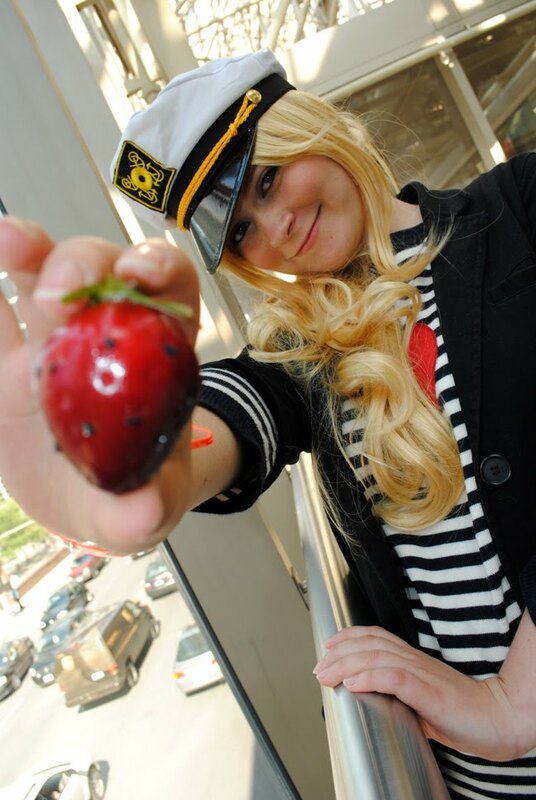 Also, picked up my sailor hat for Mugi. Working on a Princess Aurora cosplay, a last minute costume switch for Fan Expo. 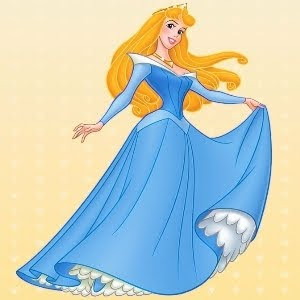 I'm doing the blue version; one pink gown per year is quite enough. The skirt section is pretty much done, except for a hem. Now, I'm hoping to very quickly throw together a corset before starting on the bodice. Also, my wig for the Mugi cosplay came in the mail. 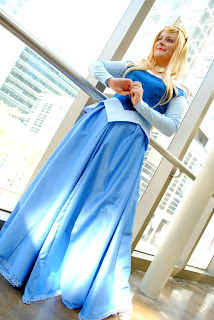 I'm also going to use this wig for Aurora. Likewise I found a pair of white heels on sale, which was nice. Just need the hat and to put the heart on my shirt and the Mugi cosplay will be done.